Dig a soil pit that exposes a soil profile that can be described by its horizon types, moisture, color, smell, texture, and structure. Collecting data about the soil site and profile can help scientists draw correlations between the physical environment in the soil and the biological community of organisms that inhabits the soil. Using your shovel, dig a pit that is at least 1 meter (3 feet) deep. The pit should be wide enough that you can easily observe the different layers (horizons) of soil all the way to the bottom of the pit. Usually this means digging a pit that is as wide as it is deep. As you remove soil from the pit with the shovel, place the soil on your plastic tarp in piles that correspond with the soil layers and depth. When you are finished with your soil profile you will replace the piles into the pit so that the deepest horizons are returned to the bottom of the pit and the surface horizons are used to cap the top of the pit. Starting at the top of the profile and working your way down to the bottom of the profile, determine the types of soil horizons (O, A, E, B, C, R) present and the depths at which horizons are located. Discuss the types and depths of horizons as a group until consensus is reached. Take depth measurements at the top and bottom of each horizon using a meter stick or tape, starting with 0 cm at the top of the profile. Make a sketch of the profile horizons types and depths in your field notebook. Take a photograph of the profile that clearly shows the horizons. Take another photograph(s) of the landscape surrounding your soil pit. Examine each horizon for moisture, color, smell, texture, and structure (see notes on each on the following pages). In order to determine these characteristics you can examine both the exposed profile in the pit and the soil you collected from horizons and stored on the plastic tarp. Describe these characteristics for each horizon in your notebook. Refill your soil pit and pick up any equipment you have used. As much as possible, return the site to the condition it was in before you dug the pit. Moisture – We will describe soil moisture by feeling soils between our fingers to tell if they are either dry (you can’t feel any moisture in the soil), moist (the soil feels damp), or wet (the soil feels saturated). Color and smell – We will describe soil color and smell very qualitatively (subjectively). If your soil is dry, you will need to use your spray bottle of water to wet the soil in order to best observe the color and smell. Work with your group to come up with different adjectives to describe the colors and smells you observe in each horizon. Structure – We will describe the general structure, consistency, and presence or absence of rocks, roots and animals in each horizon of our profile. 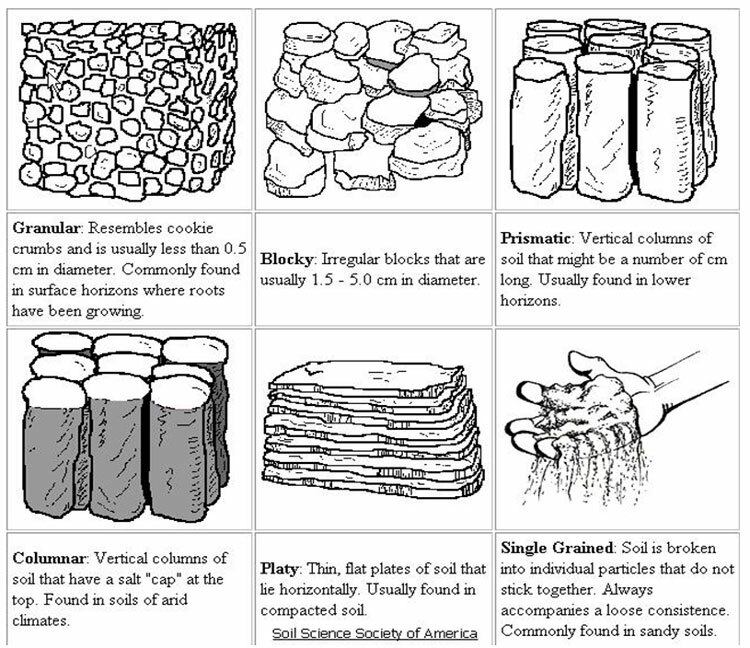 Consistency of the soil can be described as loose (falls apart in your hand), friable (soil peds break apart easily between your fingers), firm (soil peds break apart under pressure and leave dents on your fingers), or extremely firm (peds can only be crushed using a hammer). Describe any animals (worms, insects, snails, rodents, etc.) or traces of animals (channels, burrows, nests) you observe and if there were none, few or many of each kind of animal or animal trace. In this short video, Dr. Michelle Anderson demonstrates how to take a soil core sample. In this video, Dr. Michelle Anderson offers tips and a demonstration for how to dig a soil pit for a soil profile. In this video, Dr. Michelle Anderson demonstrates the removal of a soil profile. In this video, we see a basic analysis of a soil pit and profile. 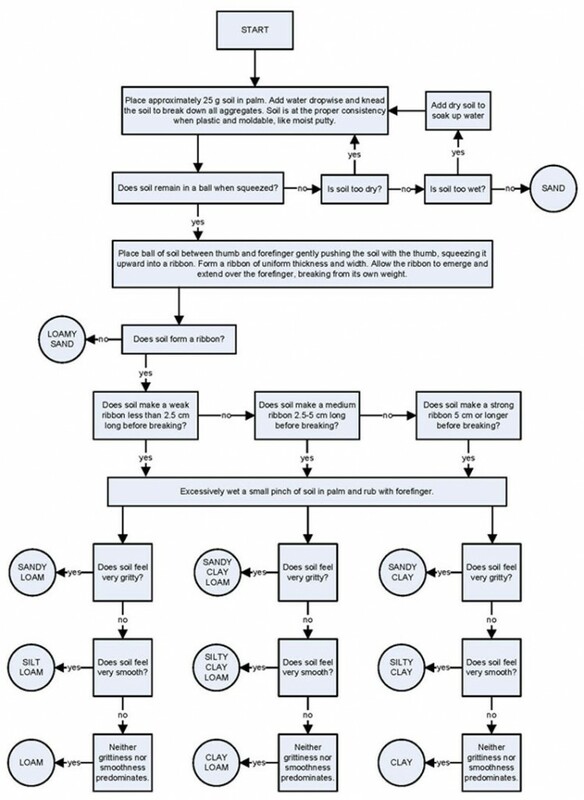 In this video, Dr. Anderson offers suggestions for conducting soil profiling with students. In this video, Dr. Marisa Pedulla shows us how to plate a soil sample.